Russian moneybags Zenit St. Petersburg are looking to replace their Italian boss Luciano Spalletti with his countryman Roberto Mancini, as they are unhappy with the poor results despite spending £64 million on new players last summer. Current manager Spaletti failed to guide Zenit to Champions League success as the St. Petersburg side was knocked out in the group stage. The team is also underperforming in Russian Premier League, finding itself in the third spot. Zenit are considering Mancini could make a necessary impact following his success with Manchester City, who have claimed their first Premier League title in 44 years last season. The Italian has signed a new five-year deal last summer and reiterated he has no fears as regards his future. However the recent speculations have linked host of managers with Man City job, amid their arch rivals Manchester United moving confidently to the Premier League title. 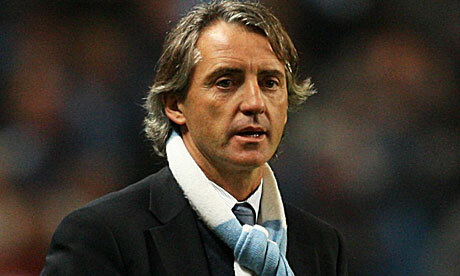 The Russian side believes the Citizens’ Qatari owners could sack Mancini, despite his recent contract extension.